The Arctic guest rooms are very spacious with lots of natural light. There are many different options for accommodation here in Hakuba. This year the White Horse Group will be expanding to offer a number of different styles to suit everybody’s needs and budgets. The Arctic Hotel in Echoland offers a very Japanese style room and is similar to a traditional ryokan stay experience with a western twist. 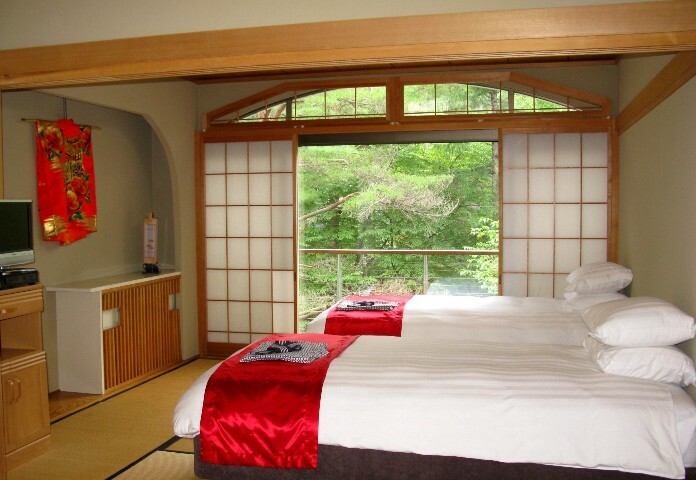 The guest rooms are quite large in comparison to most Japanese hotels as are the public areas including the restaurant and separate bar, drying room, games room and onsen style baths. The hotel has just 8 guest rooms so for the overall size of the building there is a feeling of space within. Arctic prides itself and is regarded as having the friendliest and most personable service in the Valley. This entry was posted in Hakuba Accommodation, Hakuba Hotels, White Horse Hotel and tagged Hakuba Accommodation, hotels, onsen, ski japan, snowjapan. Bookmark the permalink.